Metal Roofing Systems prides itself on being an extension of quality and service to those we provide products to. It is always our goal to make you look good on the job and assist in any way to assure a smooth and successful installation. Our quick response support team can assist you with product related technical questions. No matter if you need product documentation, product guidance, project meeting representation, or architectural support, we are here to assist. Certified Installer Program – Designed to educate participants in installing products we manufacture. Learn how the different components we manufacture are installed to achieve a watertight roof condition. We offer hands on training for groups up to 20 individuals. We can design the program to meet your needs. Contact an Metal Roofing Systems representative for class scheduling. Fill out the Certified Installer Application to get the process started. 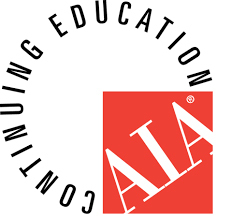 As an accredited AIA CES Provider we look forward to supporting you ongoing education in high performance metal roof systems. Today's metal roofing provides design versatility in aesthetics, performance, and sustainability. Our AIA approved courses examines the use of architectural metal roofing in various types of applications, addressing design options, performance, life cycle cost, sustainability and warranties. These courses are rich with information and provide architects the opportunity to earn 1 Learning Unit. The one-hour course is free and will be presented in a "Lunch & Learn" format. Contact a Metal Roofing Systems representative to schedule a seminar. We understand the importance of having accurate on time pricing for bidding projects. Unfortunately, it's not uncommon to hear stories of contractors missing products within their bid. Fortunately, you won't hear those stories from our customers. That's because we provide full estimate take-off's that we stand behind. We firmly believe that by providing full estimates to our customers in a timely manner they will have an opportunity to compare their take-off with ours, thus eliminating potential errors. 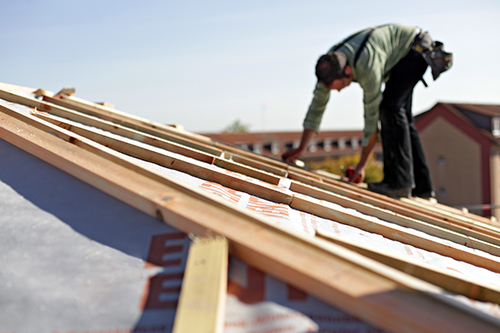 Our estimates include pricing for all products that are approved and that we can provide (roof, wall, soffit, framing). Please contact our estimating department to get pricing for your project. Watertight Warranty projects require our most stringent guidelines. To qualify for a Watertight Warranty the installer must be an MRS certified installer, have approved shop drawings, engineered clip spacing, and an approved inspection analysis must have been completed. Our inspectors are the most helpful and proactive in the business. If requested before bid, we can provide inspections at different intervals of the installation. All inspections will be immediately followed with a detailed inspection analysis that list approved and deficient conditions with solutions. We understand the need for fast turnaround on the analysis. Thats why our inspectors can literally email you their reports before they walk off the roof. Metal Roofing Systems prides itself in the services we offer to our customers. Nothing exemplifies this more than our jobsite measuring services. For jobs of size, we will measure your project for you and create a manufactures cut list of the products we manufacture. We will assume all liability with our measurements. What other manufactures does this? We believe by providing this service, we protect our customers and become an active partner in your project. When the contractor is obligated by the contract documents to submit manufacture specified shop drawings, product data, and samples for their scope of work, Metal Roofing Systems can simplify this process for you. Our submittal team of draftsman, engineers, and project managers provide clarity with our project specific installation details and instructions through effective communication in a timely manner. 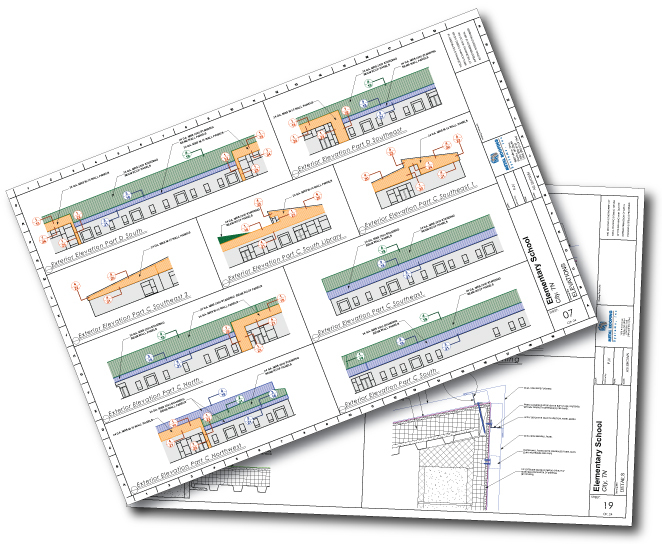 Shop drawings, product data, and samples are submitted for the purpose of illustrating how the contractor proposes to conform to the project requirements and design concepts expressed in the construction drawings and specifications. We can provide this service for any size project. Metal Roofing Systems requires shop drawings for all projects that carry a watertight warranty. Metal Roofing Systems, Inc. provides a variety of pre-fabricated edge systems that meet or exceed the ANSI/SPRI ES-1 Wind Design Standard. Our goal is to provide tested products at a reasonable cost. Other manufacturers place a huge premium on their products, often exceeding budgets and forcing value engineering. 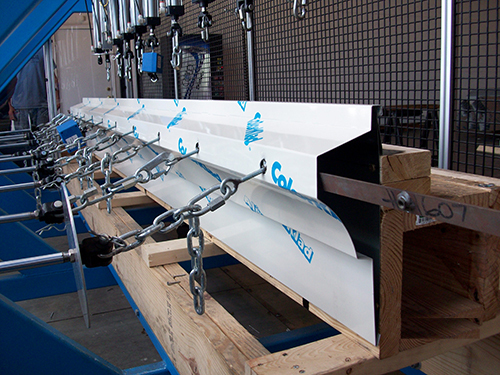 Using our systems protects the building envelope without “breaking the bank”. The result is a high quality product that matches performance with affordability. All of our edge systems are tested with our state of the art UL certified testing apparatus. If you are an architect or design engineer, include us in your specifications and we can test any of your edge system designs. We can simulate any edge condition and any profile. Each project presents a different challenge. Allow Metal Roofing Systems to design a system that is job specific and meets code.